The Philippine Women’s Club (PWC), a registered non-profit organization here in Korea, is a Seoul-based women’s organization that actively promotes cultural pride. The main thrust of the PWC is to promote appreciation of Philippine culture. The PWC also sees the importance of embracing the culture of Korea, for the women believe it’s through genuinely appreciating their host country’s culture that understanding and mutual respect reigns. 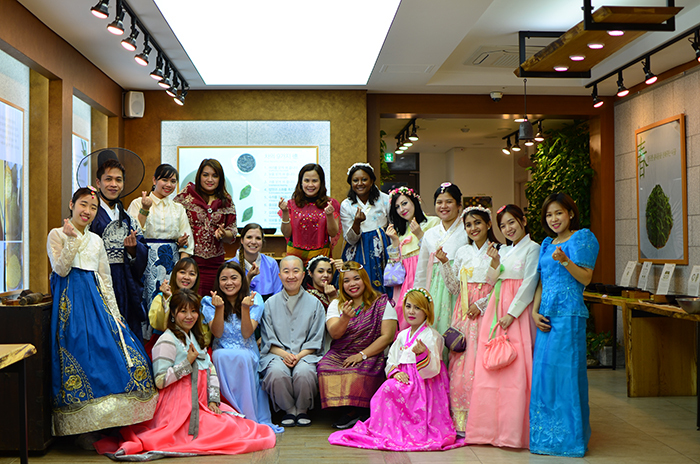 So on April 28, the PWC hosted its Hanbok and Tea Party at the Korean Food Temple in Jongno. Attendees wore Hanbok while PWC members wore Philippine traditional attire. The colorful display of dresses complemented the colorful personalities present and the amiable atmosphere during introductions. 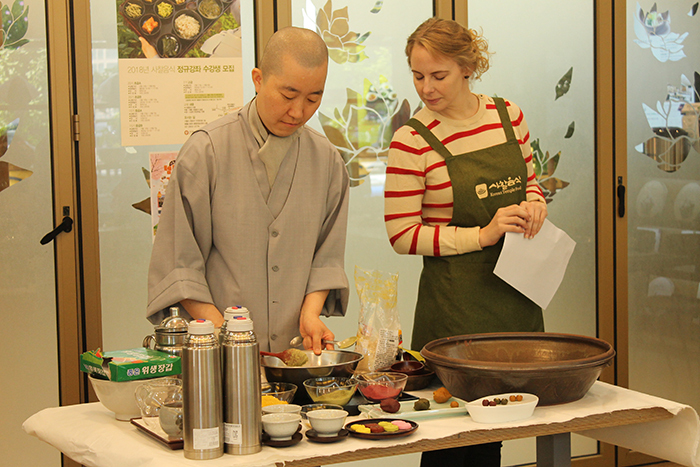 When it was time to settle down and start learning how to prepare a traditional Korean dessert, everyone was eager and eyes were all focused on the monk demonstrating how to prepare the dessert properly. It was a tasty treat! 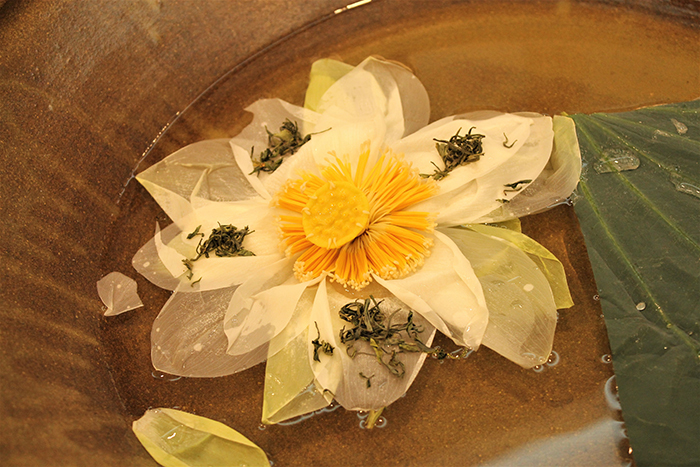 For the tea, dried lotus flowers were a revelation for all. Everybody watched in awe as each petal meticulously spread out until the lotus flower was revealed. It must take special skill and a sense of serenity to be able to successfully unfold such a beauty. When it was time to serve the tea, the taste didn’t disappoint. It was delicious. The beautiful Hanbok, the tasty traditional desserts, paired with lotus flower tea, were some of the easiest and most relatable of all Korean practices. It was a beautiful day of traditional sharing and learning. To cap off the event, some of the attendees went for a stroll in their Hanbok around and inside Gyeongbokgung Palace. It was a beautiful sight, creating beautiful memories. * This article is written by a Korea.net Honorary Reporter. Our group of Honorary Reporters are from all around the world, and they share with Korea.net their love and passion for all things Korean.